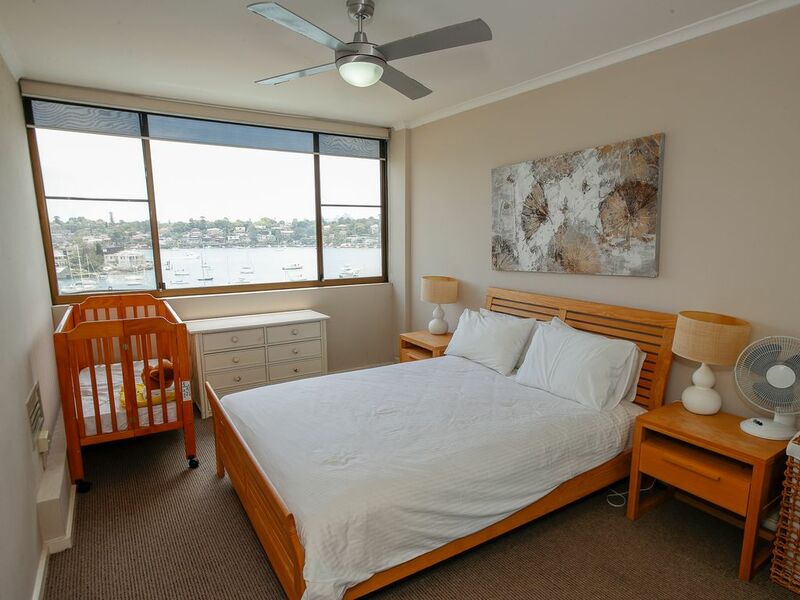 Walk to the ferry and enjoy the best of what Sydney has to offer in this lovely three- bedroom, two-bathroom apartment which is located in an older style apartment block just 15 minutes from Sydney's CBD. Enjoy water views from your lounge and private balcony or walk down to the waterfront and jump into the pool which adjoins the harbour, what better way to start or finish the day. A bright fully equipped kitchen adjoins the large dining and lounge area, all with panoramic water views. This apartment can sleep up to five people comfortably and offers security access plus underground parking for one car. Unlimited Wi-Fi, an internal laundry, air conditioning in the living room and ceiling fans in the bedroom make this apartment a comfortable choice and great value for money.